The real issue with long captures interspersed with rare events of interest is that you might run out of acquisition memory before you get even one trigger. What if you could take that entire waveform memory, however long it is, and break it up into segments? That's essentially what Sequence mode does. 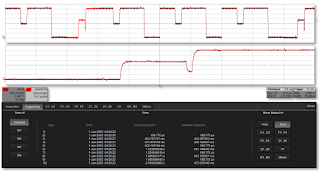 Each time the oscilloscope is triggered, it stores the event in a separate waveform segment and then stops using acquisition memory until it's triggered again. You can set Sequence mode to divide the memory into a minimum of two segments to a maximum of up to 10,000. The default setting is 10 segments. 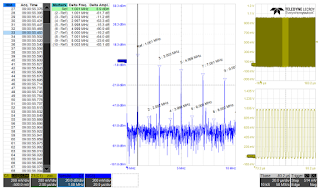 In this way, you can keep your desired sampling rate and horizontal time base setting. Each segment is time stamped with the time of day, the time between segments, and the elapsed time since the first segment. Segments are displayed in adjacent displays, and zoom traces can be used on multiple segments for comparison purposes. History mode, meanwhile, is another acquisition mode that lets you find and isolate waveform anomalies by partitioning acquisition memory into segments. History mode is a bit more automated in nature in that it looks at your sampling rate, memory length, and time base. When you enter the number of waveforms you want, it sets up the segmentation appropriately. With History mode, you can scroll back and forth through time to find glitches, runts, and other problems that you may not have known to look for (Figure 2). 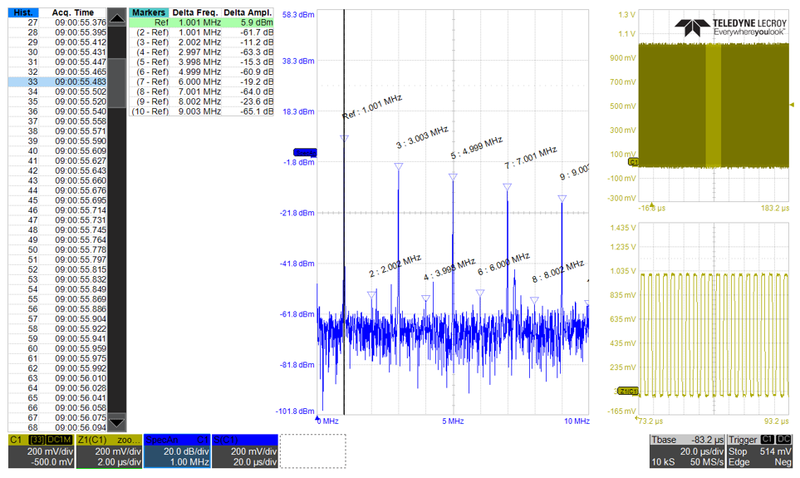 How often have you been watching a waveform on your oscilloscope's display when, whoa, something catches your eye, but you're way too slow to stop the trigger to freeze it? This is where History mode has your back. It's stored all those previous waveforms and you can easily scroll back through them to apply measurements and analysis. Figure 2 shows an example of an acquisition in spectrum-analysis mode and with History mode turned on. At top right is the time-domain display with a zoom trace beneath it. 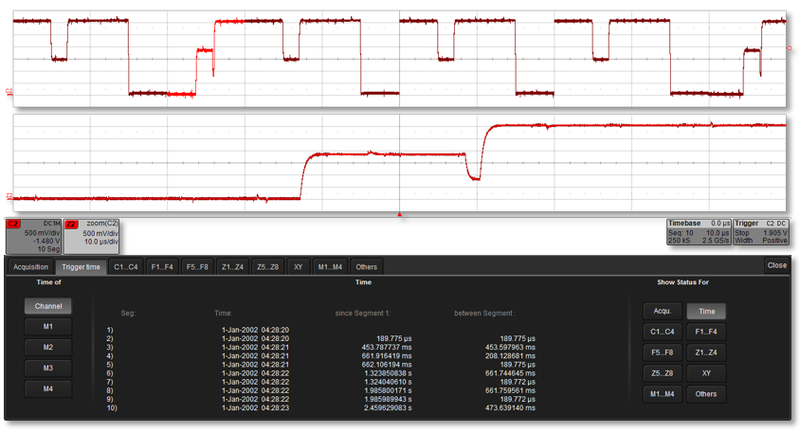 In the center is the FFT display with markers turned on to denote peaks. Those markers are tabulated to the left, and to the far left is the table of History mode segments. Selecting any line in that latter table will automatically bring up that waveform in both time- and frequency-domain views. Our next post will take a closer look at math functions.